Peja is perceived as the capital city of Dukagjini Plane, holding a rich history and beautiful landscapes, very worth exploring. Peja lies on a territory of 603 square kilometers; the city and its 95 villages hold 170,00 inhabitants. Elevation of Peja varies from 395 m to 2.552 m, forming a beautiful environment with a flat city center and sharp surrounding hills. 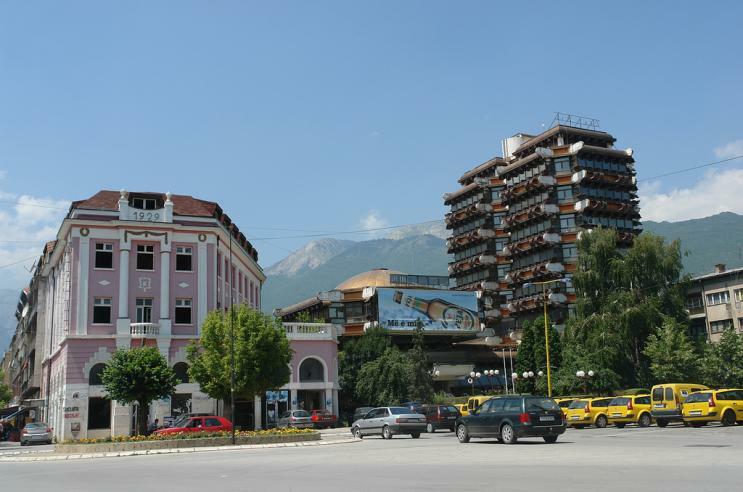 Peja is a city, where its beauty stems from both the city and the rocky hills of Bjeshket e Nemuna Mountains, leaving an impression that the city is being devoured by them. Different ruling systems through the city’s history have left their traces making Peja a place with diverse architecture; from traditional stronghold houses, buildings of Ottoman rule, Austro-Hungarian style buildings, communist period buildings and the newly constructed parts of city, still resembling traditional architecture of the area. Peja has also a lot of water supply, as a result of its surrounding mountains. Drini Bardhë, with its spring in village Radavc, is the biggest river, followed by Lumbardhi being an important water supplier, also. Because of its easy access to sea, throughout history Peja has been an important center of transportation, by horse caravans. It is also known as an important node for handicraft, when in 1582 there were 56 registered craft shops; making it the richest settlement in medieval age. In historical documents, it is also mentioned that the settlement had been once completely effaced by the plague. As a city the settlement is mentioned in 1202, at the time of developed feudalism. The Assembly of Peja (historical event), plays a significant role when the National Movement formed the covenant Besa-Besë, lead by Haxhi Zeka; a citizen of Peja now naming streets and different places in the city.